Bennetts Baby Moisturising Cream has been specially formulated for babies and children suffering from eczema and dry skin conditions. Our formulation contains no SLS, Fragrances or Parabens. 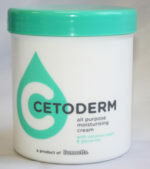 Bennetts Baby Moisturising Cream contains Cetomacrogol which is known to lock moisture into skin.